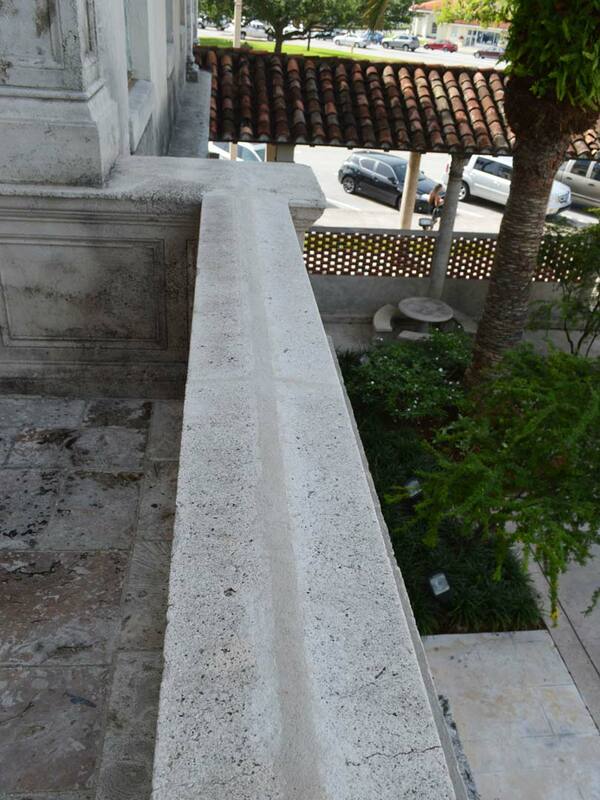 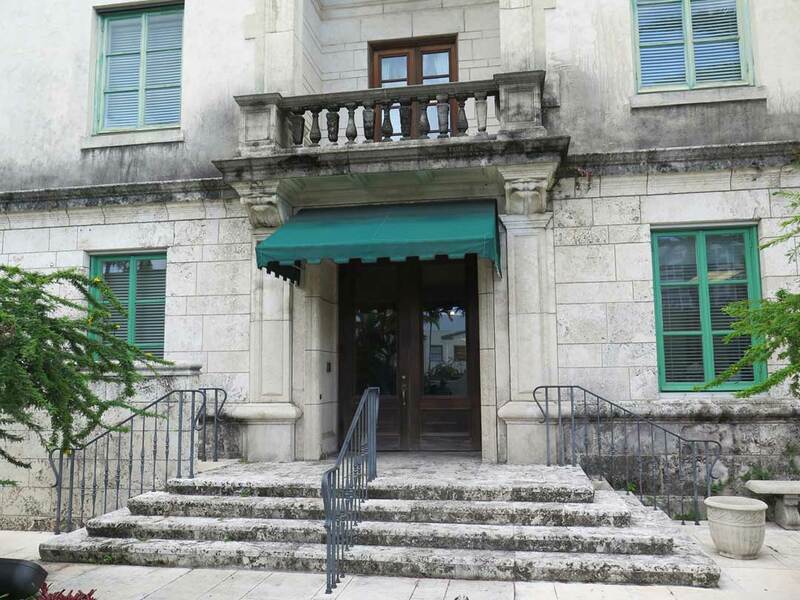 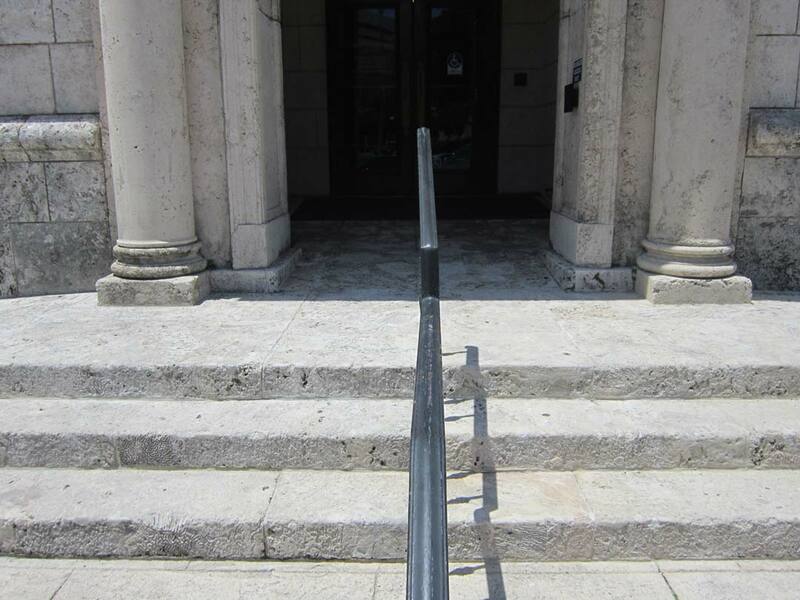 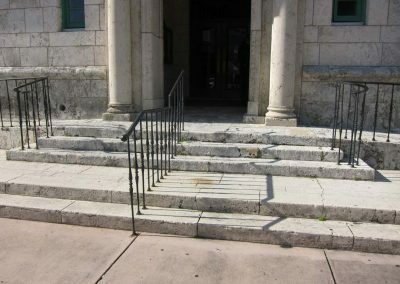 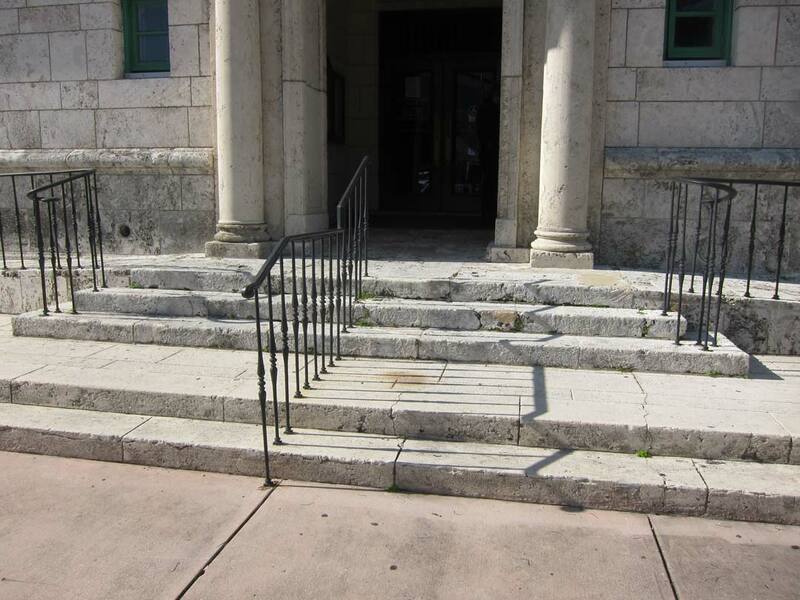 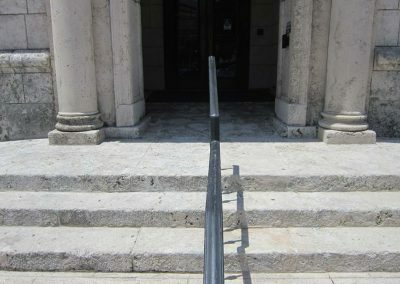 Coral Gables City Hall is a Mediterranean Revival building on the National Register of Historic Places. 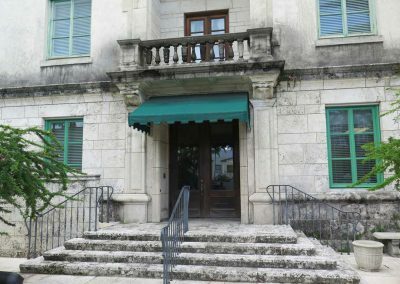 RLA has performed several cycles of treatment on this building. 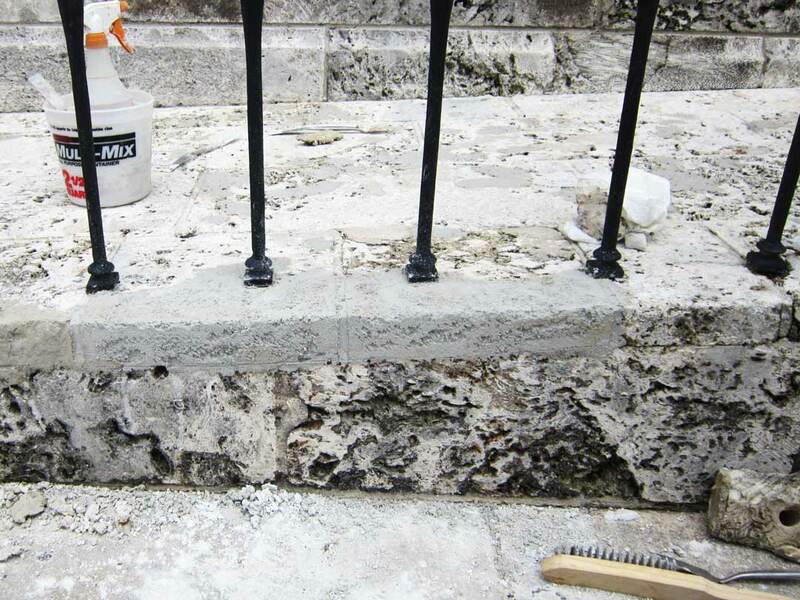 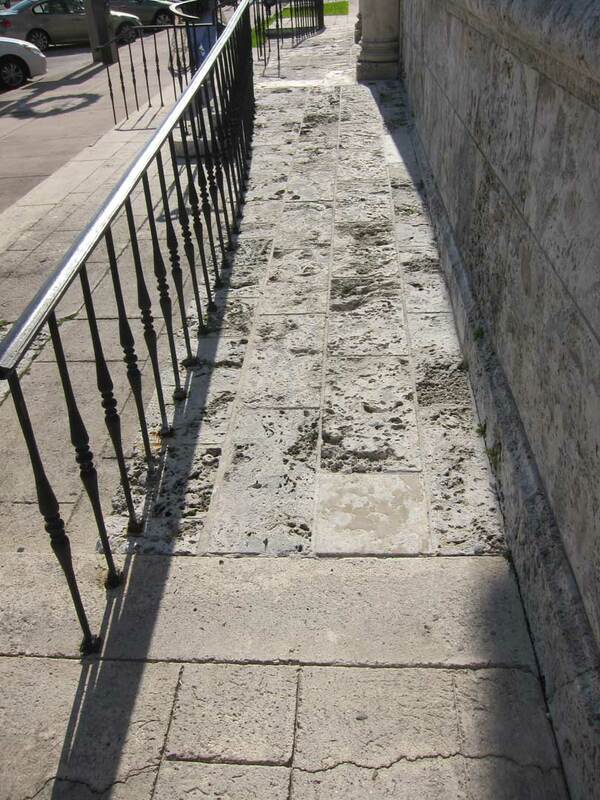 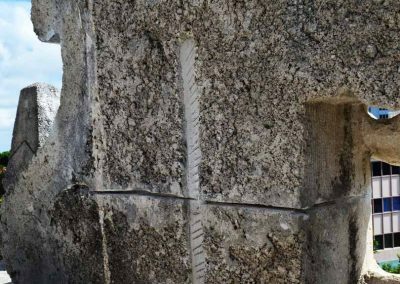 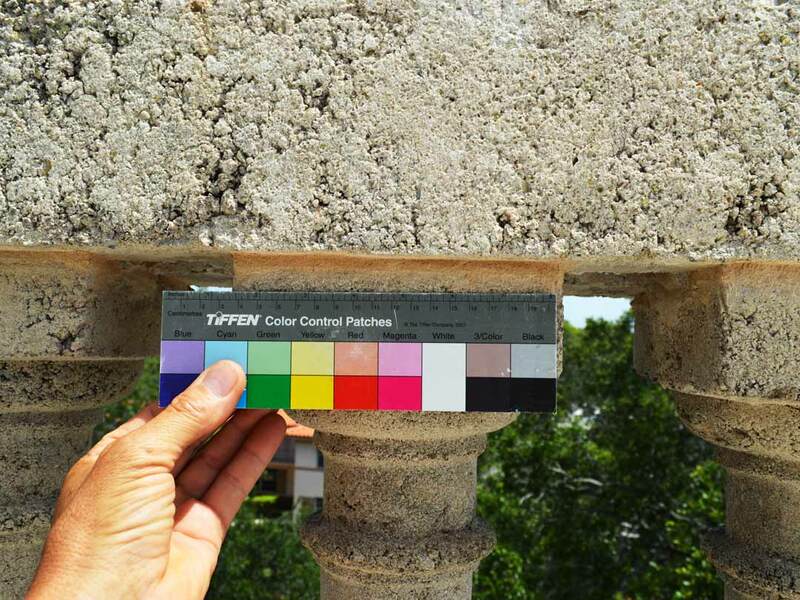 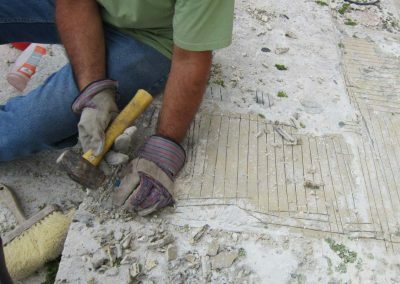 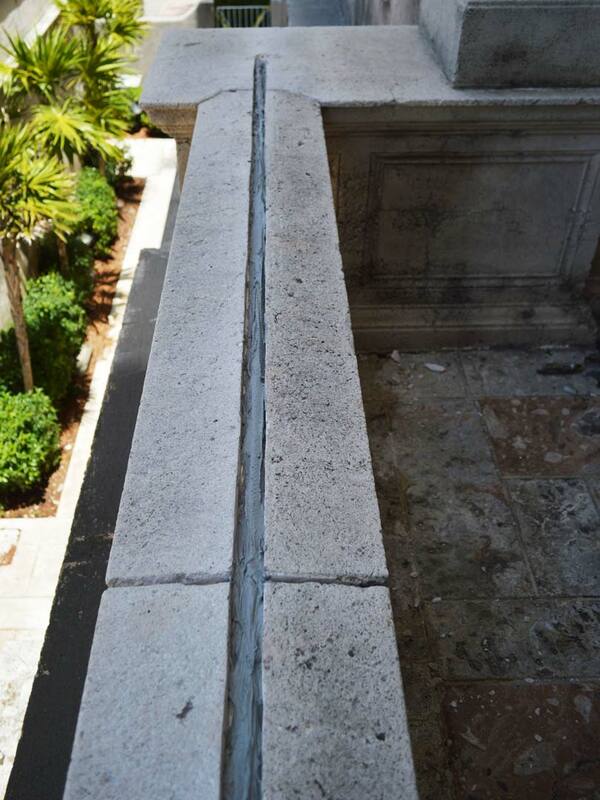 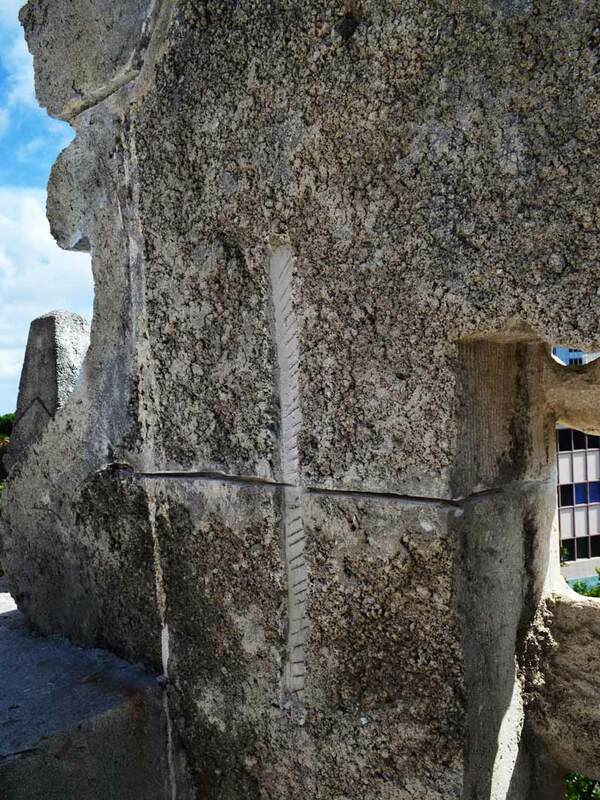 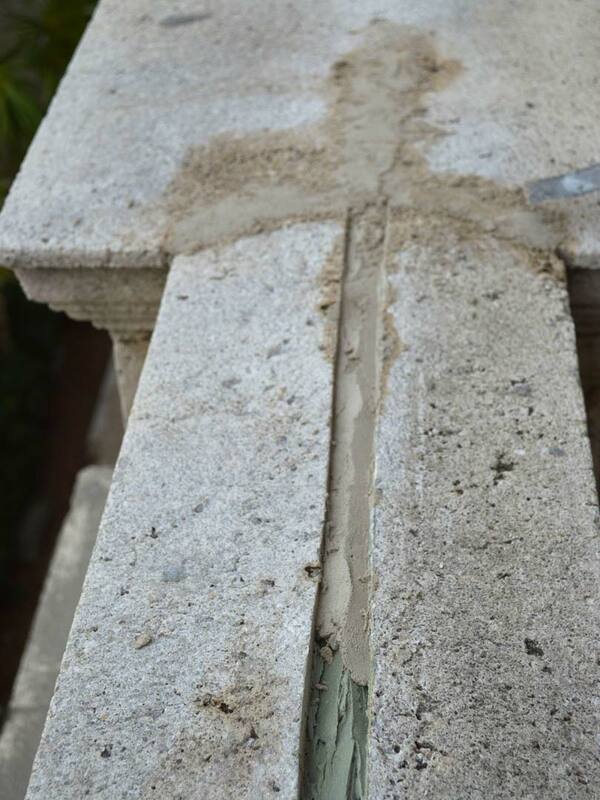 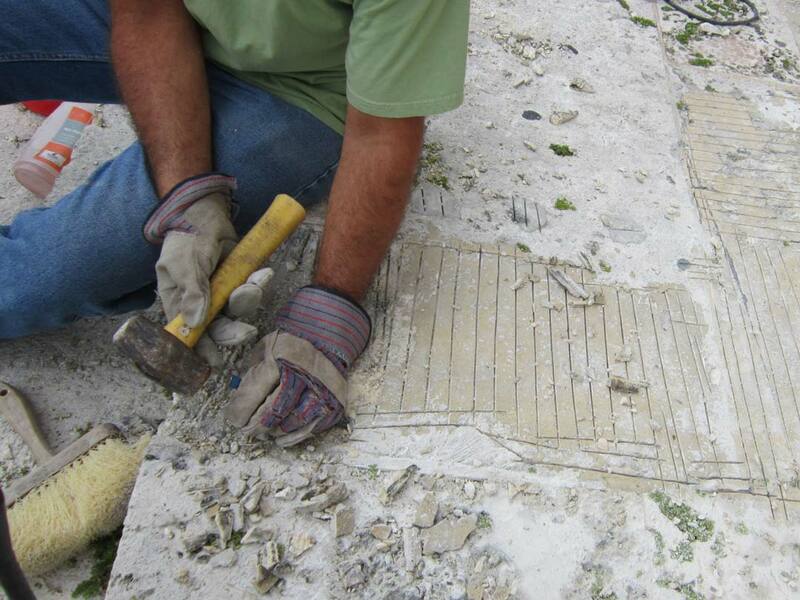 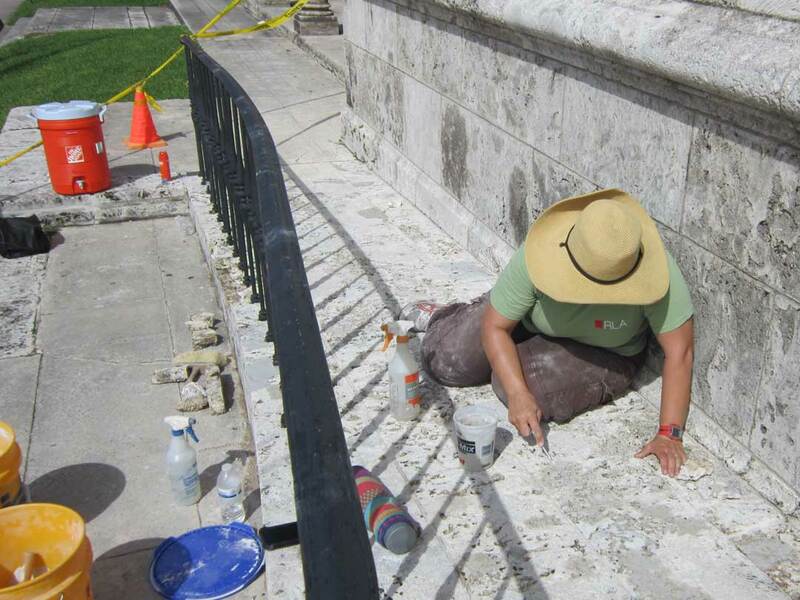 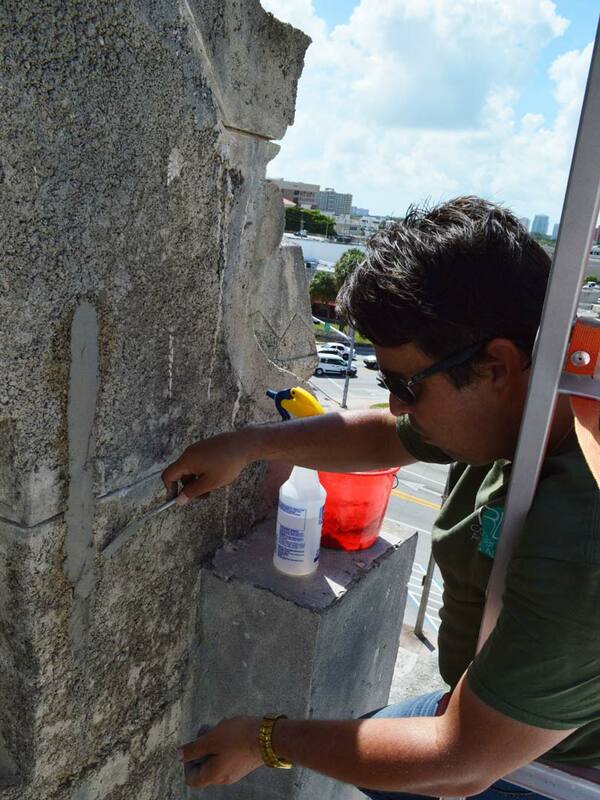 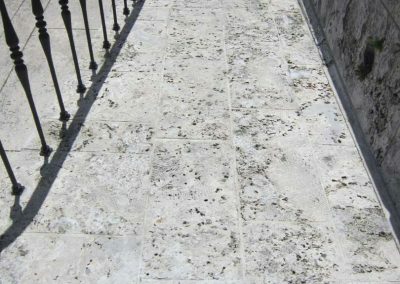 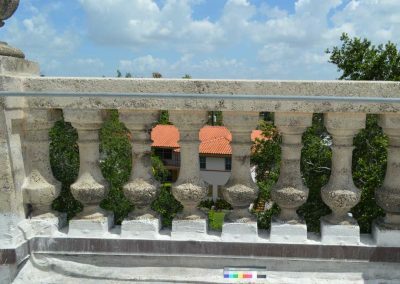 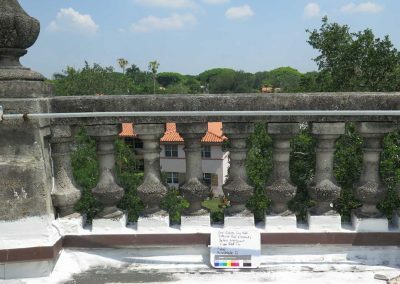 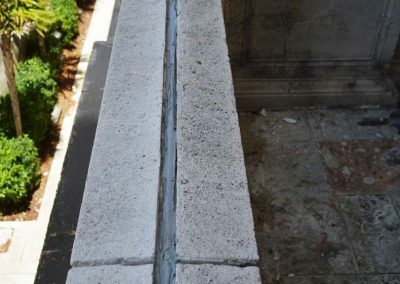 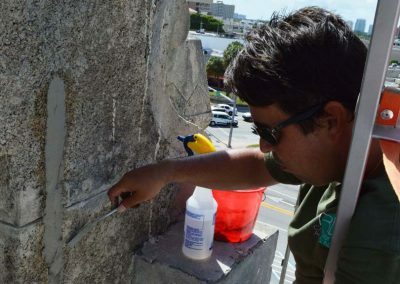 This phase consisted of cleaning, fungicidal treatment, emergency stabilization, consolidation, and loss compensation on cast stone decorative elements at the roofline and Mayor’s Balcony levels. 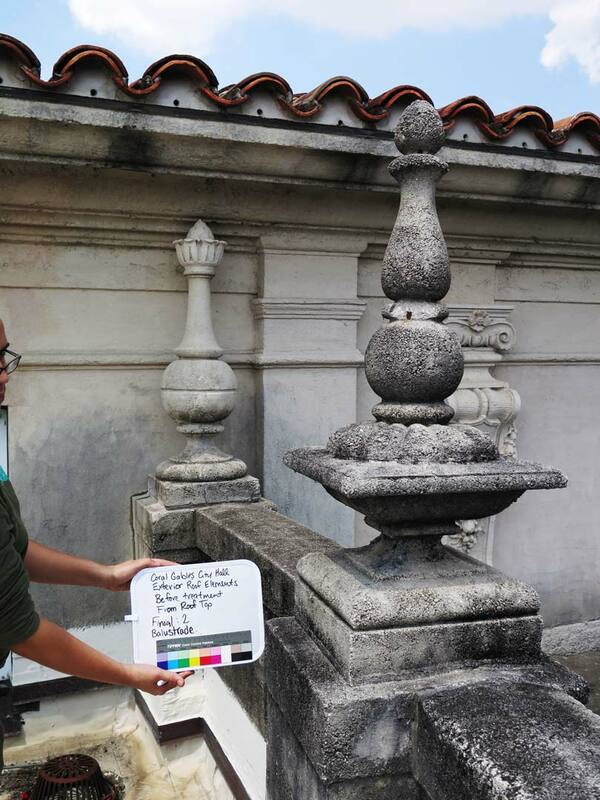 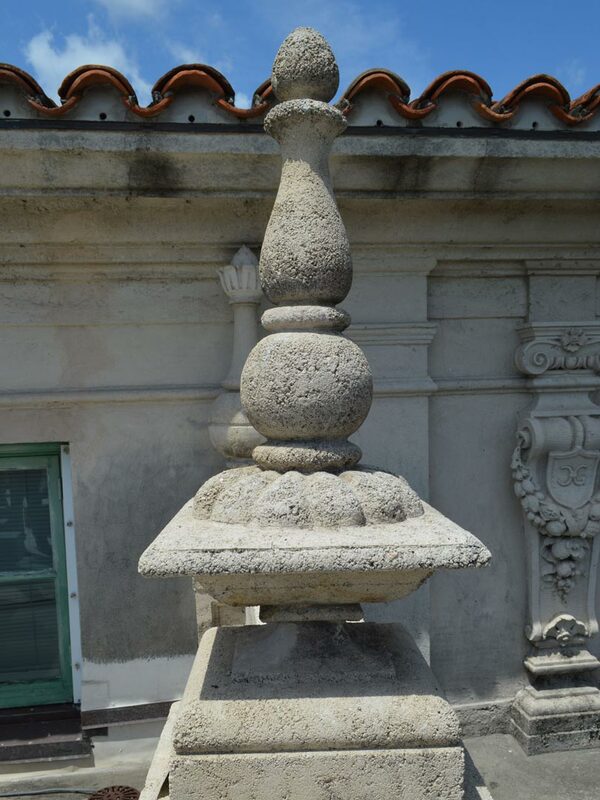 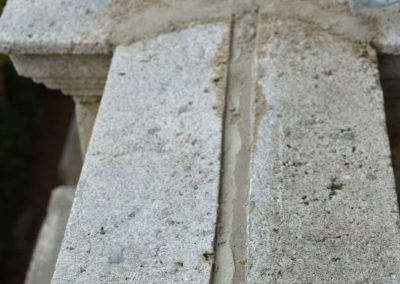 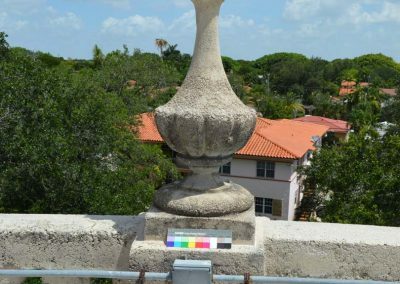 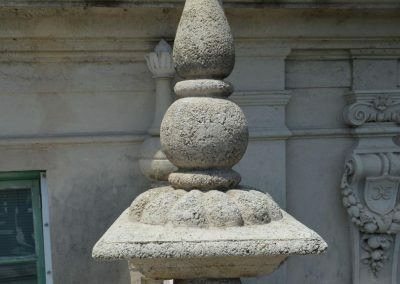 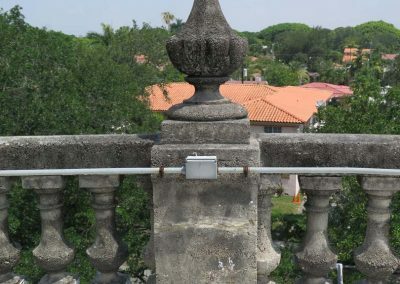 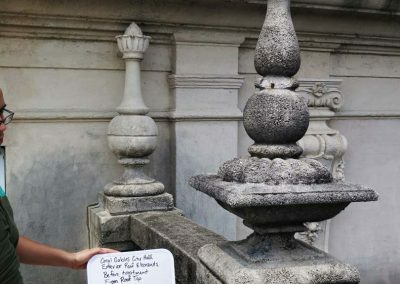 The roof level urns and finials were of particular concern, as they had been found to be loose in a 2014 RLA-led building-wide survey of City Hall’s decorative features. 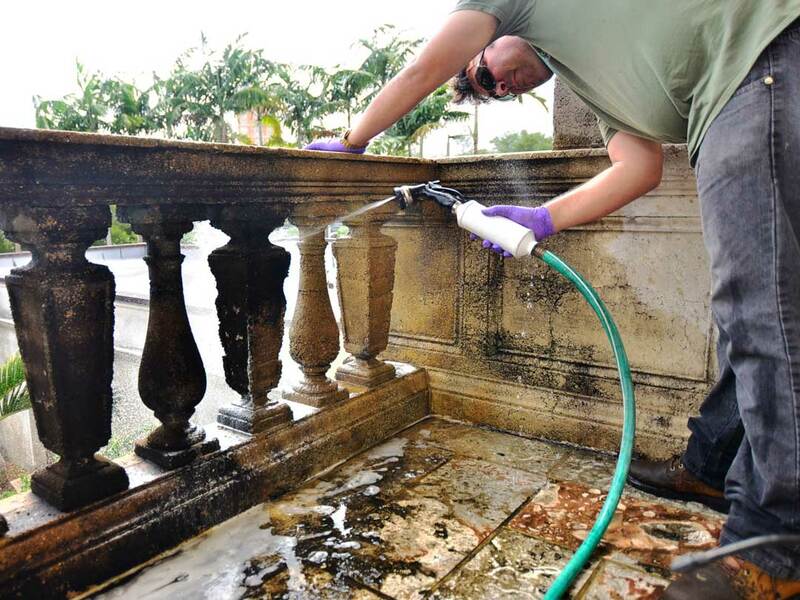 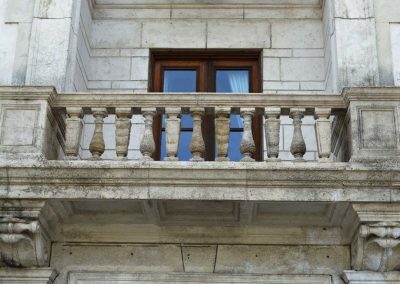 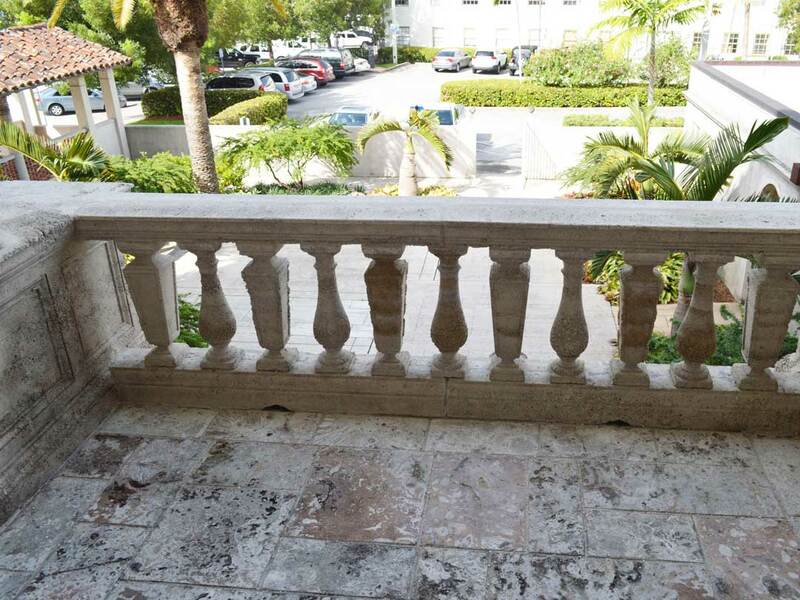 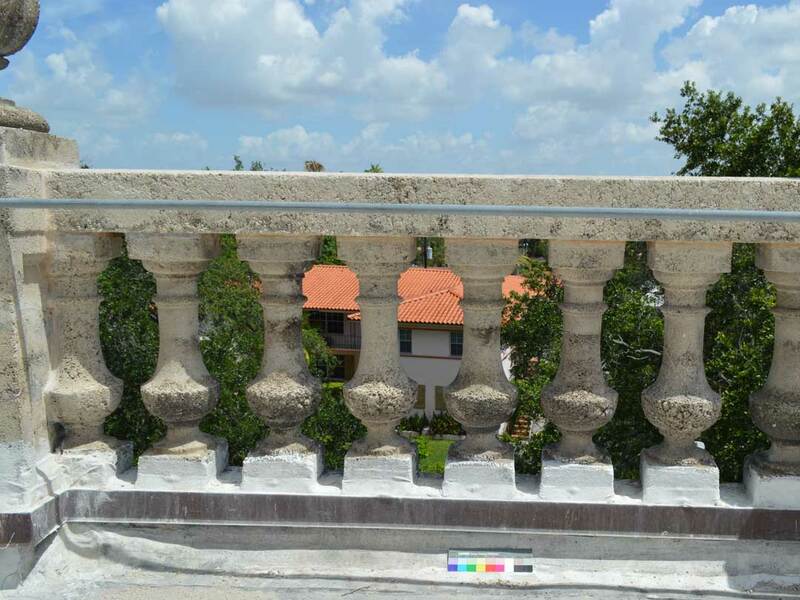 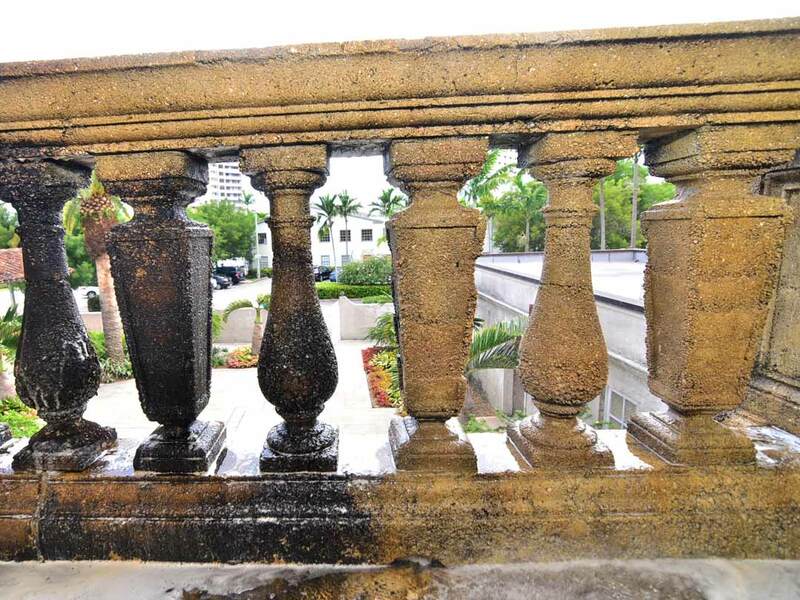 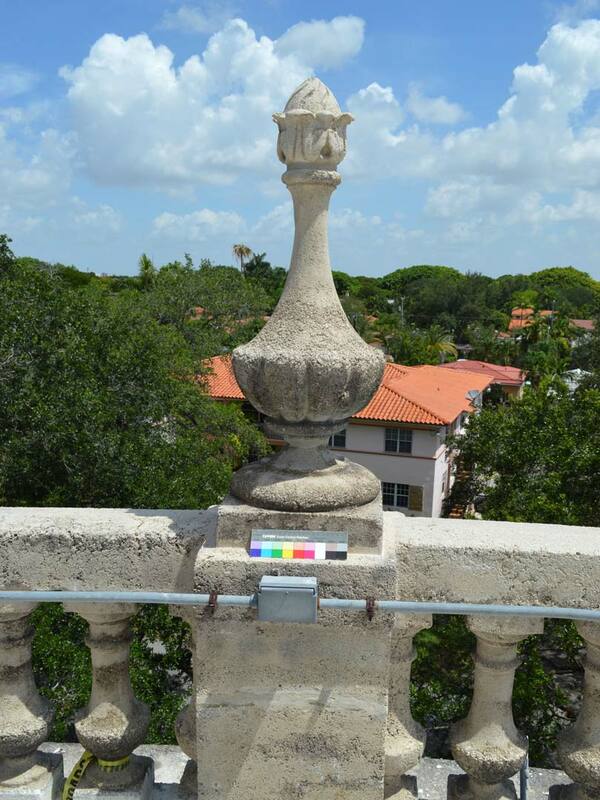 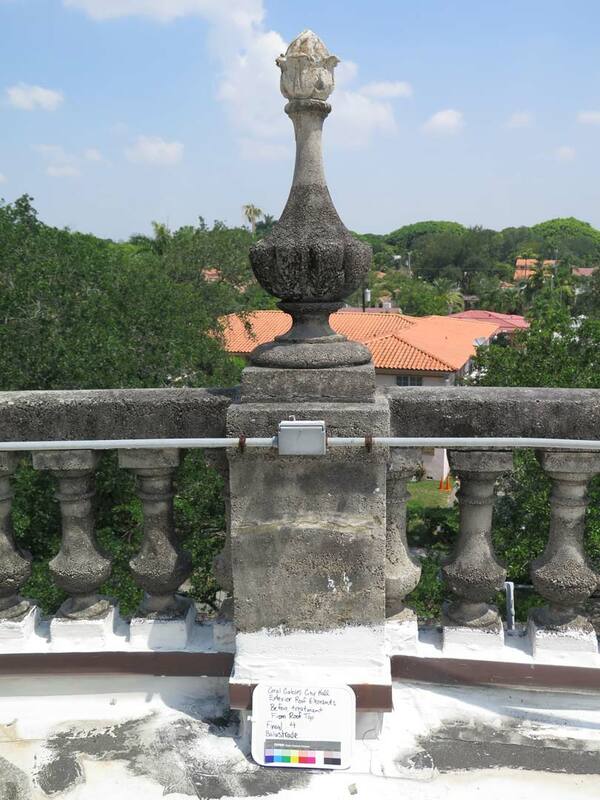 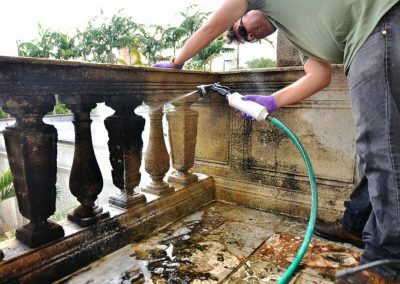 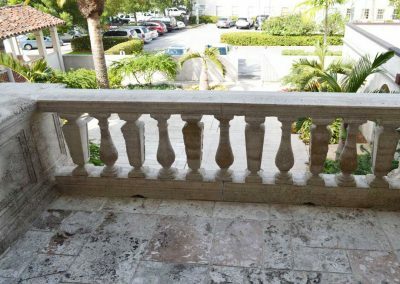 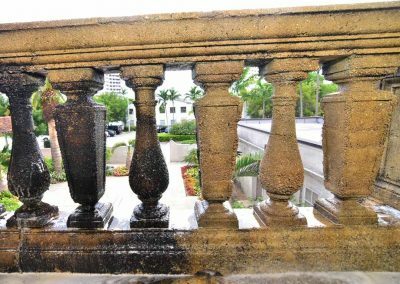 Our firm also provided all hands-on services to secure and stabilize the urns, finials and decorative architectural relief panel and balusters on the Mayor’s Balcony. 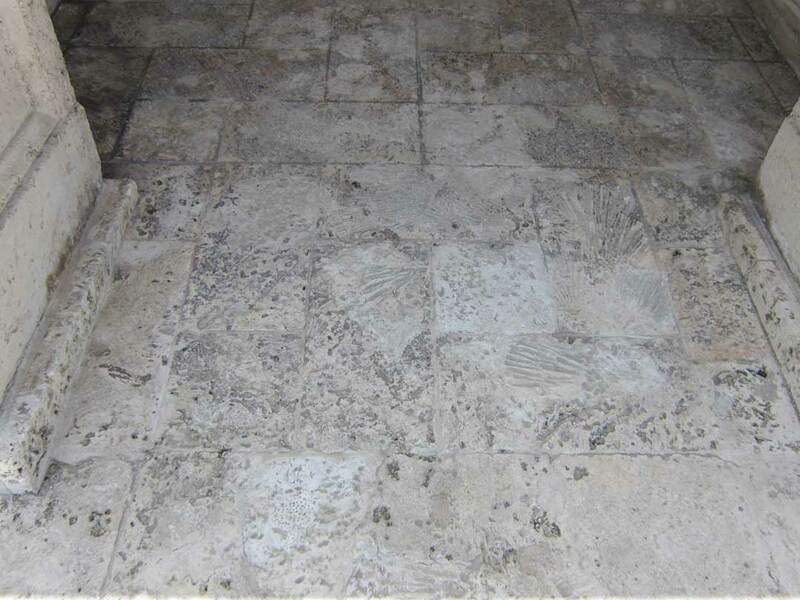 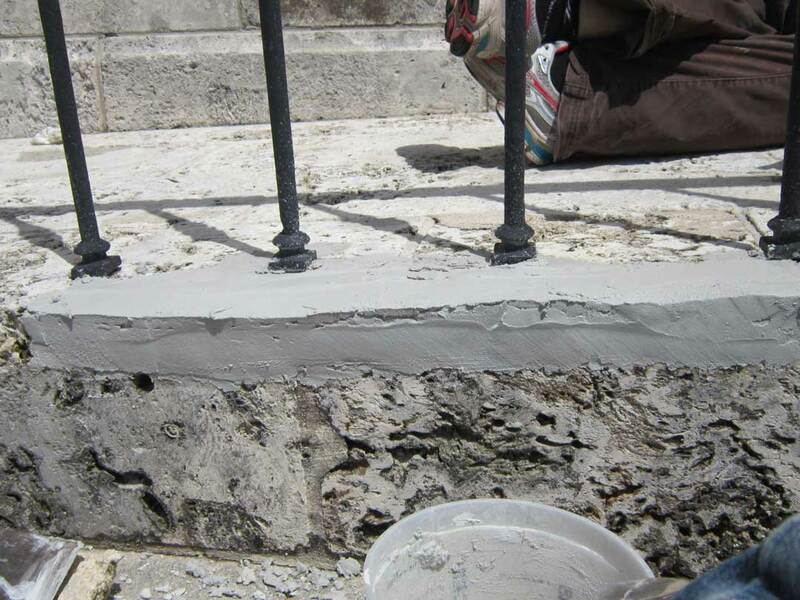 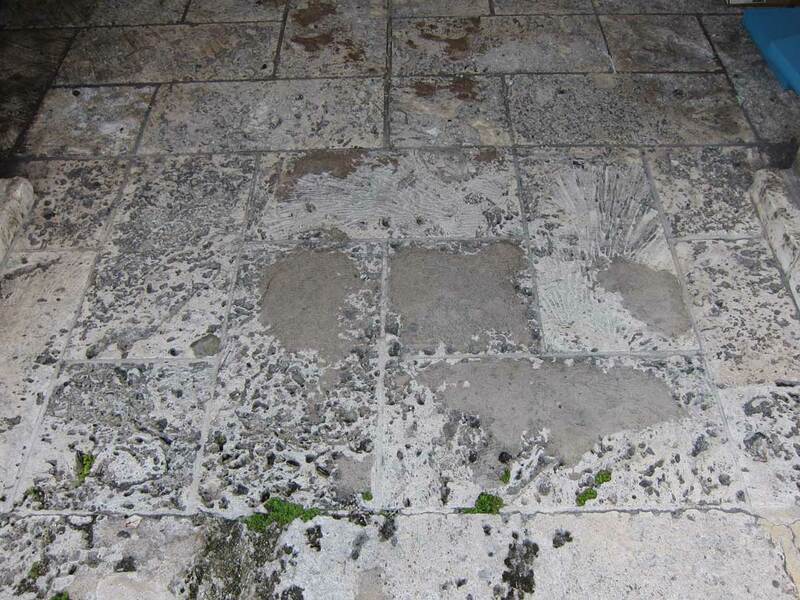 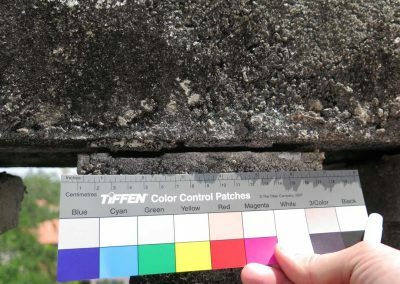 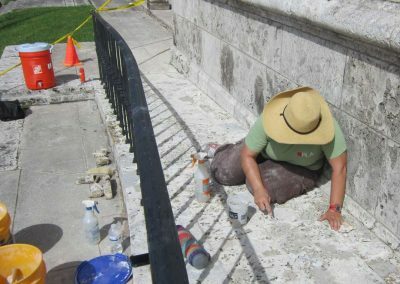 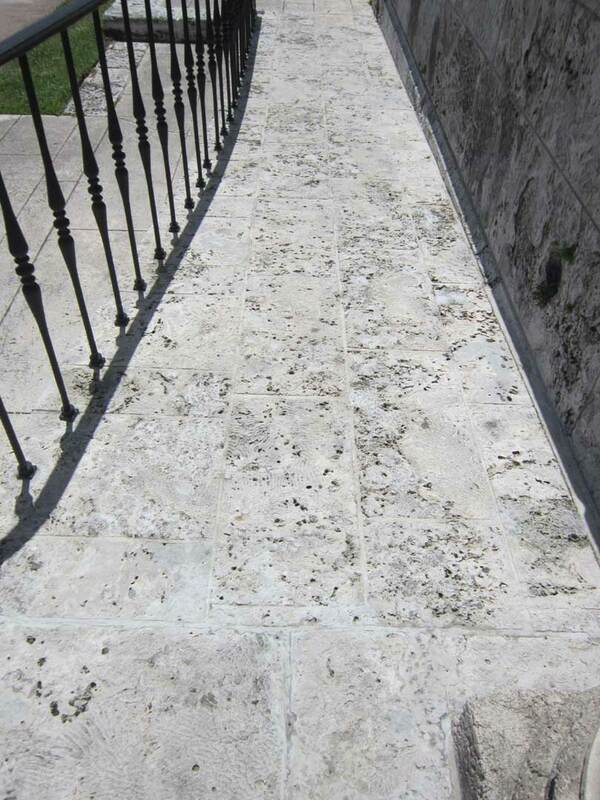 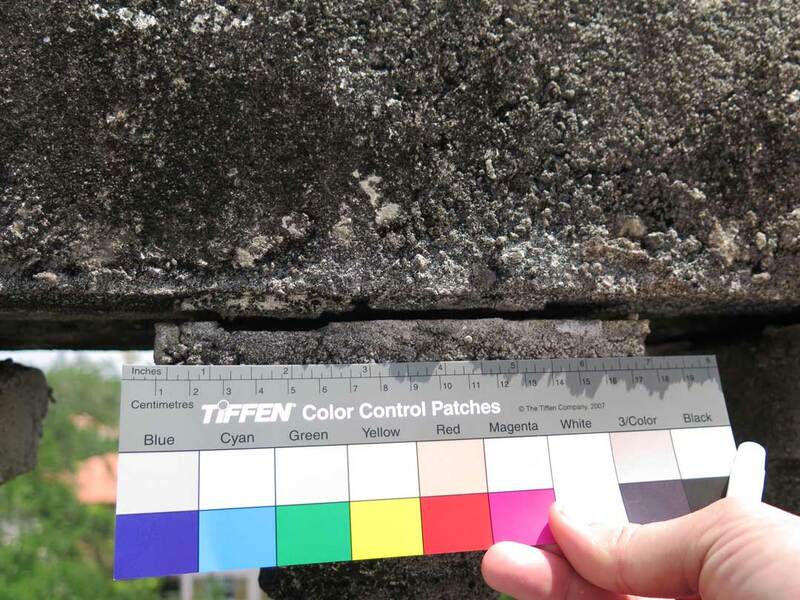 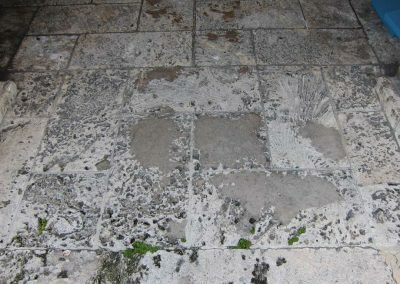 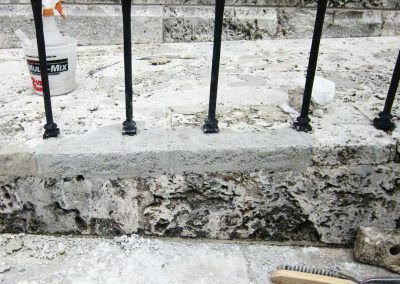 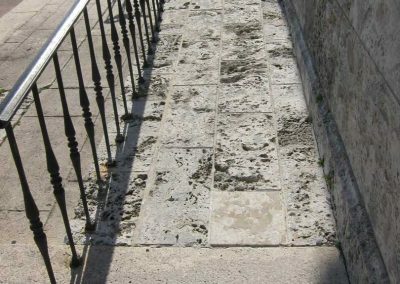 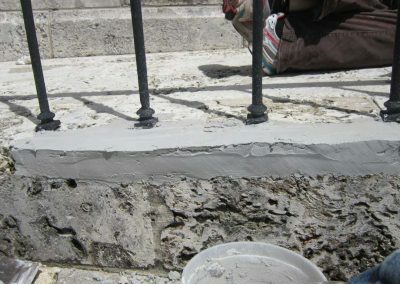 Working with limited funding provided by a grant, we identified the most critical areas for repair of the exterior and cleaned the stone, removed fungal growth and grime, stabilized fragmenting and crumbling areas, removed concrete and epoxy repairs, stabilized corrosion, and compensated losses in these areas.